Ringo Starr will celebrate his 77th birthday with a free Hollywood street gig. Jenny Lewis and Van Dyke Parks will be part of a supergroup, which will perform Ringo's songs at this year's #PeaceAndLove salute on July 7 outside the Capitol Records Tower. Ringo will attend, with famous friends Joe Walsh, David Lynch, Edgar Winter, Nils Lofgren, and Eric Burdon among those planning to show up to wish the ex-Beatles star a happy birthday. The drummer was asked what he wanted for his birthday in 2008 and he replied "more peace and love, that is something you can't have too much of". He held the first Peace and Love event in Chicago, Illinois that year, and since then he has also held birthday events in New York City, Germany, Nashville, and Los Angeles. A spokesman for Ringo tells WENN, "The dream is that a wave of peace and love traverses the planet starting at noon in New Zealand to noon in Hawaii and everywhere in between. "A reminder to all who would like to participate, you don't have to go anywhere, or say anything, you can post #PeaceandLove, say it or just think 'Peace and Love', anywhere you are, at work for example, or otherwise busy, and know you are still contributing Peace and Love to the moment." 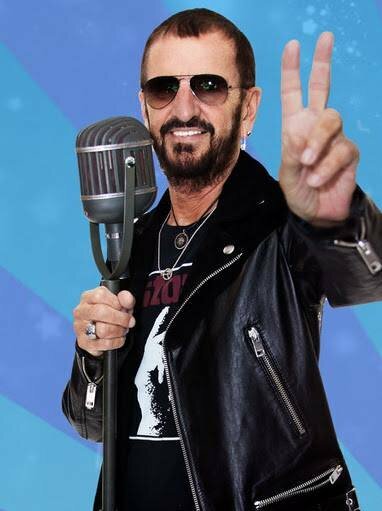 But for those keen to gather to celebrate Ringo's birthday, there are also events being arranged at noon in Colombia, Argentina, Antarctica, Las Vegas, Peru, Spain, New Zealand, Russia, New York, Panama, Brazil, Japan, London, and the star's native Liverpool. I know it will be great. Wish I coild go!